Some resistor and trimmer references are incorrect included in the initial BOM. Please download a recent version of the BOM (20/11/2018 or later). The offset compensation on the filter boards do not allow easy fine-tuning. In case of an inaccurate setting of the trimmers, the LM741 opamp immediately saturates. See page 11 how to easily fix this. 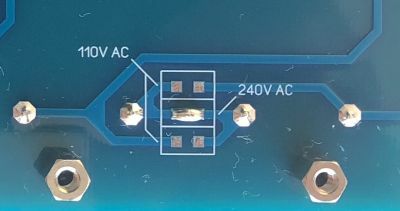 To adjust the LM741 bias exactly to 0,00 mV on the low pass filter and high pass filter, there is a minor modification on both PCB's required. See page 12 how to easily fix this. Does the Vocoder require 1/2 W resistors or will 1/4 W work? 1/8 W or 1/4 W resistors are perfectly suitable. I consciously did use 1/2 W resistors to get the old-fashioned look of the original device. did you use carbon film or metal film? The MCMF50 series resistors are axial leaded precision metal film resistors with a tolerance of ±1%. To allow the filters to flow correctly in each other at the right frequency you need this precision resistors. when i read your message i believe you say that the carbon resistors have more free elektrons which make the Sound more smother then for the metal film resistors which Sounds cold ? But the reason because i write is because your PCB and Case which come Today are Really Really nice. thank you so much for realising this. It think Fitchie made a typo above but all of the resistors in the BOM are 1% metal film except for one 4.7M at 5%. I'm completing a tube amp, and there carbon resisters are used in the input signal, so I mixed up things. Haste makes waste, my apologies. I already edited the original post. i'm scratching my head mor and more while watching the costs for the components raising more and more. The 21 pin connectors cost a fortune ... I managed to find 1 pair for 4,5 euro. Coming to my question about the required OP-Amp TL084ING4. This beast is not easy to find, but there is another one TL084IN. Comparing the datasheets i did not find any differences. Can I use the TL084IN insted of the TL084ING4 ? having trouble to get 25k trimmer potentiometers I would like to ask, if I could put in a 50k. As i have found reasonably cheap precision potentiometers with 25 turns, it would be interesting to know, if these could be used instead. after having a closer look at the transformer, I found an important detail, that might interest others in the group. It is a 2x 115V to 15V transformer that is only good for US and A. Has anyone looked up a replacement for 240V ? The transformer has two primary windings, so it can be configured for 115V or 230V. It can be configured via this little solder bridges at the bottom of the PCB. TME keeps these connectors in stock, when the stock has been sold out, they are reordered very fast. 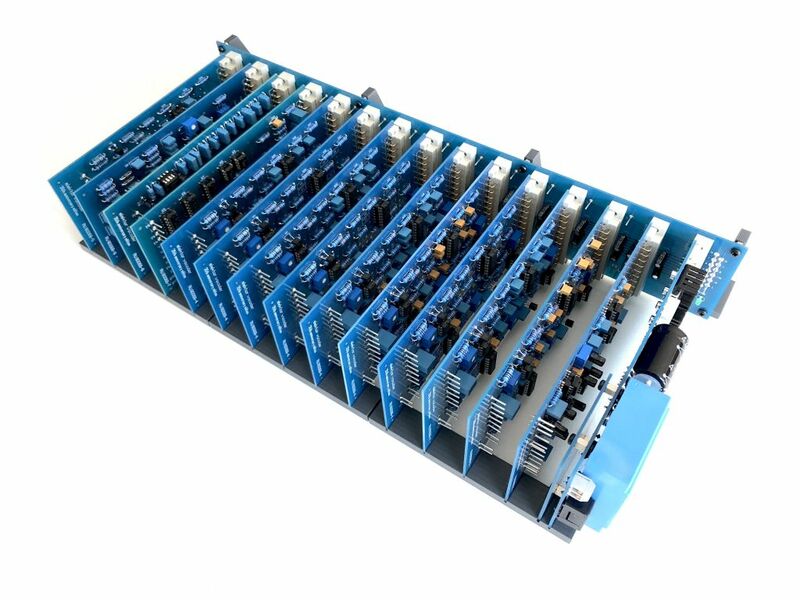 Farnell has 5.128 of them in stock for 0,536 €/each. I did not try it out, but they are pin compatible and the specs looks the same. Having trouble to get 25k trimmer potentiometers I would like to ask, if I could put in a 50k. As i have found reasonably cheap precision potentiometers with 25 turns, it would be interesting to know, if these could be used instead. Yes you can, but the adjustment is less easy when using a 50k trimmer due to the narrower range. Anyhow using a multi turn trimmer facilitates this again. You don't need a replacement. Use the solder bridges to choose the right voltage. This file will replace all previous versions. One thing makes me wonder. How are the 1mm solder pins going to be used? Isn't there a part missing (WAGO 243 Series PCB Terminal Blocks)? Concerning the DIN 41617 connectors the L means that these are soldering lugs version that can not be mounted on pcbs. Ordering them might not be the best idea. They don't have the correct ones. I found them at din 41617 socket for 1,78 (if you order 10+) same for the din 41617 plug for 1,30 (if you order 10+). Oh, i miscalculated the price for a pair in my previous post ... didn' consider 15 instead of 10. For the WAGO 243-131 solder pins you can check elpro.com (lötstifte 1mm). because there is a wrong picture not showing FL14/15 and the price confused me, because it is different (i guess it is because of different VAT). After checking specs at farnells it was easy. It is this transformer. DO NOT ORDER THESE CONNECTORS ! Take care not to order the L (solder lugs) version, they will not fit in the backplane ! Please see below specifications before ordering. A bit much, in quantity and price, but maybe useful for a few people teaming up?! Could you, please, check the band filter BOM? R1 is mentioned 3 times there as 10k, 33k and 150ohm. And R10, R15, R200,R201 and R202 are missing in the BOM.